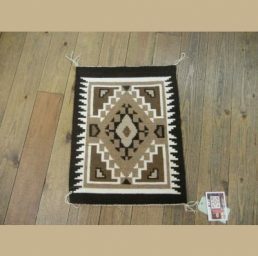 Palms Trading Company in Albuquerque has a beautiful selection of Native American rugs for sale. These decorative collectibles reflect centuries of Navajo tradition. 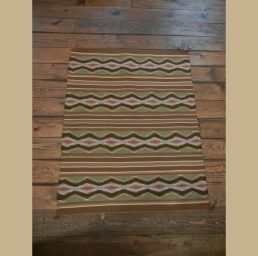 Handwoven with all-natural materials, our gorgeous rugs will bring the spirit of the Southwest to any room. 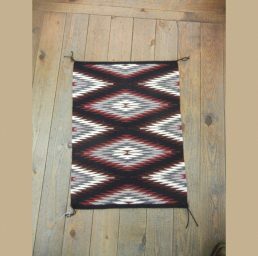 The Navajo learned the art of rug weaving from the Pueblo Indians over 300 years ago. 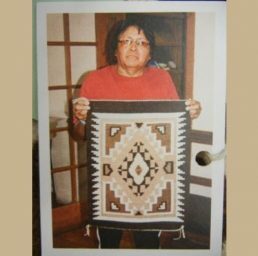 Since then, these weaving techniques have been passed through the generations, becoming an important part of the Navajo culture and lifestyle. 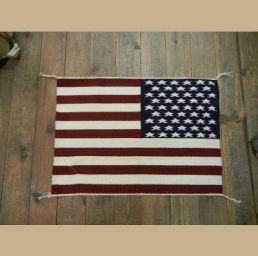 While some contemporary designs are produced, most of our Native American rugs for sale use traditional images, patterns and colors. 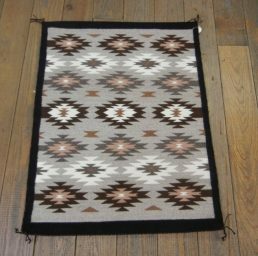 Navajo pictorial weaving incorporates beautiful images, such as animals, into the design. 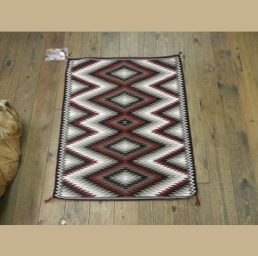 Though traditional weavers do not portray Navajo deities, you may see symbols of the Yei in contemporary rugs. 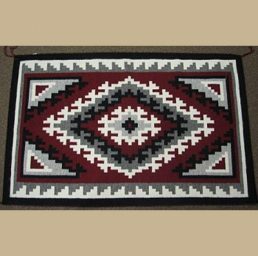 Storm weaving displays the traditional “four arm” pattern that symbolizes the borders of the Navajo reservation. The Ganado Red area rug features terraced diamonds against a deep red background. 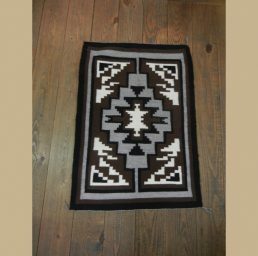 The brown, white and grey colors of the Two Grey Hills rugs display dual terraced diamonds in the center with cornered triangles enclosed by a detailed border pattern. 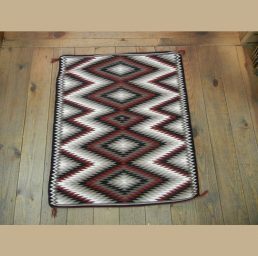 We guarantee that each rug is an authentic Navajo creation, purchased directly from the artist. Palms has a deep respect for our relationship with the Navajo Nation and we are proud to help share and preserve their customs and culture for the world to enjoy. 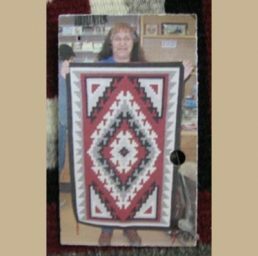 Along with an assortment of rugs, we have other handmade Navajo works of art including jewelry, pottery, and kachina dolls. All our merchandise is affordably priced and ready to ship around the world. 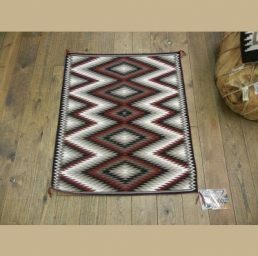 If you’re looking for handwoven Native American rugs for sale, visit Palms Trading Company in Albuquerque.